The Best Toddler blogs from thousands of Kids blogs for parents on the web using search and social metrics. Data will be refreshed once a week. Also check out Top Toddler Youtube Channels list for Top videos on Toddlers. Toddler newsletter is a comprehensive summary of the day's most important blog posts and news articles from the best Toddler websites on the web, and delivered to your email inbox each morning. To subscribe, simply provide us with your email address. About Blog Toddler Approved is a kids activities and education blog for parents and teachers of children ages 0-6 that helps foster a love of learning. Facebook fans 1,200,681. Twitter followers 3,940. About Blog Busy Toddler is a parenting and teaching resource to find fun activities to do with babies, toddlers and preschoolers. Facebook fans 107,205. Twitter followers 1,502. About Blog Easy, inexpensive, crafts and activities for kids, as well as parenting topics & recipes for parents, teachers and carers. Facebook fans 1,573,739. Twitter followers 3,823. California USA About Blog I share toddler and kids activities, creative arts and crafts ideas and parenting tips. Facebook fans 48,729. Twitter followers 3,487. Facebook fans 64,912. Twitter followers 2,387. About Blog The no.1 pregnancy and parenting digital destination, BabyCenter reaches more than 45 million parents a month from every corner of the globe through its 11 owned and operated properties in 9 different languages. Facebook fans 2,323,951. Twitter followers 673,355. Australia About Blog Mum’s Grapevine is with you every step of the way - providing the solutions, tools and clever ideas to help parents buy better and have a little fun along the way. Facebook fans 453,461. Twitter followers 8,231. Canada About Blog Today's Parent, Canada's national parenting magazine, is committed to helping parents build happy, healthy families. Speaking to moms and dads of children from birth to 9 , articles tackle the complete range of parenting issues, including health, education and behaviour. Facebook fans 209,546. Twitter followers 2,487,904. About Blog Scary Mommy was started by Jill Smokler in early 2008 as an innocent online baby book to chronicle her stay-at-home days with her children. It transformed into a massive vibrant community of millions of parents, brought together by a common theme: Parenting doesn’t have to be perfect. Facebook fans 3,442,338. Twitter followers 490,258. United States About Blog Kids Activities Blog has kids crafts, kids activities and fun things to do with kids along with tips and tricks for parents. Facebook fans 3,223,008. Twitter followers 21,611. Facebook fans 97,300. Twitter followers 2,160. About Blog Life With My Littles is a pregnancy and parenting blog written by wife and mother of two, Chelsea Johnson. She started the site in 2013 as a way to share tips with other moms, and it has grown since then to include simple crafts for kids and family-friendly recipes. Facebook fans 2,388. Twitter followers 1,426. Berkeley, CA About Blog RookieMoms.com is an indispensible blog for parents, updated regularly with creative ideas for activities that will help you get out of the house and have more fun -- with baby in tow. Facebook fans 22,098. Twitter followers 101,086. About Blog Twiniversity is the largest global resource for all things “twinnie”. Twiniversity brings the world of multiples parenting to you, no matter where you live. From informative articles that reach all things twinning, to awesome product reviews, to just having a place where you know you will find someone that can relate to your story…Twiniversity is the place where you can laugh, cry, and smile. Facebook fans 83,717. Twitter followers 8,300. About Blog Teach My learning kits help your child learn the alphabet, spelling, reading, numbers & more! Make bath time educational & fun with Teach My Bathtime! Articles with hints, tips and information on teaching babies, toddlers and preschoolers their basic skills. Facebook fans 7,054. Twitter followers 12,781. Facebook fans 13,952. Twitter followers 3,268. Minneapolis About Blog A community for family and friends of babies, toddlers, and young kids in glasses, eye patches, or contacts. Facebook fans 2,258. Twitter followers 1,995. About Blog Rebecca Eanes is a bestselling author, the founder of positive-parents.org, creator of Positive Parenting: Toddlers and Beyond, and a contributing editor to Creative Child Magazine as well as Baby Maternity Magazine. She contributes regularly to Motherly and has been featured at Psychology Today, Mind Body Green, Maria Shriver, The Gottman Institute Blog, Boston Parents Paper, Brightly, and more. Facebook fans 982,669. Twitter followers 1,073. Chicago, IL About Blog Nurture Life is revolutionizing mealtime with fresh, ready-to-eat meals for babies, toddlers and kids delivered weekly, straight to your door. Facebook fans 13,451. Twitter followers 113. Sheffield, England About Blog Hello, my name is Petra. I’m a mum and I review things. Simple! This blog does what it says on the tin. I cover anything that might interest mums and mums-to-be and write about things like pregnancy, babies, children, parenting, beauty, pampering, books, food, travel and just family life in general – and products relating to these topics. Facebook fans 1,567. Twitter followers 4,533. England, United Kingdom About Blog Toddle About is very much a family venture. The concept was originally my wife Ruth's idea, who found it incredibly hard to find the things that were going on in our local area for little ones - especially the free things! So we decided to create a magazine and website that worked as a 'one stop shop' for everything baby and toddler in the local area - and so Toddle About was born. Facebook fans 10,417. Twitter followers 2,509. About Blog My name is Holly but I will answer to mom, mama, mommy or any other variation of mother. I am a stay at home mom of a spunky little toddler. I'm just living and learning as I carry on through this thing they call motherhood. Bergen County, NJ About Blog This blog is about empowering speech therapy products, fun and effective speech therapy services. Also for sharing speech, language, & reading readiness strategies, activities, ideas, and inspiration for parents, educators, and therapists. Facebook fans 1,179. Twitter followers 526. Ontario, Canada About Blog I’m Tanya and Seeme and Liz are my children’s stuffed animals and creative partners in crime! I have set up this website to inspire parents and educators to encourage a child’s language development and learning through play. Facebook fans 257. Twitter followers 5,336. Hertfordshire About Blog A full time working mum and blogger, Lisa created Mummascribbles to write about her experiences of motherhood, being a working mum and anything else that may crop up in her life! In her spare time, she organises events! Facebook fans 1,204. Twitter followers 12,726. Facebook fans 21,243. Twitter followers 5,002. About Blog Toddling our way around the South Bay. India About Blog India's No 1 Pregnancy, Baby & Toddler Magazine. Facebook fans 30,970. Twitter followers 969. About Blog Our team is small and spirited, but devoted to keeping infants and toddlers sweat-free, cool, protected, and happy so that they (and you) can enjoy each day to the fullest. Our mission is to make quality baby clothes that can easily endure the daily life of an active infant or toddler --- from the sandbox to a birthday party to dinner with the grandparents – wash and repeat. Facebook fans 1,438. Twitter followers 3. Facebook fans 359. Twitter followers 508. Hallandale Beach, FL About Blog Fabulous Fashion for the Special Baby & Toddler in Your Life. Facebook fans 88,199. Twitter followers 737. About Blog The Baby Spot is a global, online parenting magazine dedicated to sharing blogs, recipes, expert advice, family destinations, celebrity interviews, product reviews and more! Facebook fans 17,270. Twitter followers 113,554. Madeira, OH About Blog Creative Tots has specialized in the private education of both toddlers and preschool age children for over 15 years. We began in the heart of Madeira and now also have a new Mason location. We are specifically designed to focus on early childhood development for children ages 18 months to 5 years. Facebook fans 631. Twitter followers 70. England, United Kingdom About Blog I am a mother of two little girls. The Toddler and The Baby. I am Silly Mummy to a chatty toddler & a noisy baby. Blogging funny tales of the wise/hilarious words of The Toddler, with the occasional 'bah' from The Baby. Facebook fans 352. Twitter followers 9,590. About Blog First time mommy-to be blogging about all things pregnancy, baby, and mommy! Facebook fans 155. Twitter followers 657. About Blog Smarter Toddler is a warm, community-oriented learning environment. Music, movement, literacy, visual arts and dedicated staff. Stimulates adults and kids. Facebook fans 376. Twitter followers 295. New York About Blog Navigating NYC with toddler, one playground at a time. Facebook fans 799. Twitter followers 879. Canada About Blog WeeSleeps team of Certified Infant & Toddler Sleep Consultants, helps parents who are having challenges with their baby and toddlers sleep by providing a very personalized and high level of professional support to aid them in becoming independent sleepers. Facebook fans 2,700. Twitter followers 1,068. Miami, FL About Blog A blog about being a mom, woman, and wife. My name is Jenise. I am a first time mother to a little boy. I am a stay at home mom. This is just a place for me to share my experiences, tips and tricks. Facebook fans 603. Twitter followers 411. Staffordshire About Blog A mixture of baby massage, baby yoga, baby signing and sensory play. Get all the latest from Tots Play with great articles, play ideas and more from our blog! Facebook fans 3,018. Twitter followers 369. The Midlands About Blog The life of a SAHM to two teens, a 4 year old and a baby. As you can imagine, life can be pretty hectic. Facebook fans 919. Twitter followers 3,775. Kent, England About Blog Pass the Prosecco Please is the blog and brainchild of me AKA Lisa, a 30(ish) year old mum of one from Maidstone, Kent. I started my blog as a place to rant, vent, and write all the random things that normally fester in my head. It’s become so much more to me than just a blog, it’s helping me in many ways and I have met so many lovely people(in the virtual sense). Facebook fans 785. Twitter followers 6,015. London About Blog London with a Toddler is an account of our adventures – a subjective, wholly anecdotal, rarely factual review of things you can do in this great city of ours with a couple of small children in town. Facebook fans 771. Twitter followers 645. Toronto About Blog Nutrition is our passion. From tummy to toddler and beyond, Sprout Right has supported thousands to navigate the world of eating for their family. Through workshops, online courses and consultations, parents learn what's right for them and their growing family. Facebook fans 2,314. Twitter followers 4,571. About Blog A blog with ideas for fun and creative kid's activities, learning activities, tips to make your life easier, reviews, shopping & much more. Facebook fans 76. Twitter followers 76. Denver, CO and London, England About Blog Joyful Toddlers was founded in 2010 by Faith Collins as a resource for parents, grandparents, nannies, home daycare providers, early childhood educators, and anyone who spends their time with children ages 1-5. Facebook fans 1,887. Twitter followers 44. About Blog Preschool blog by Tulip Tree Preschool, a state-certified Reggio-inspired toddler and preschool program, for children ages 12 months – 5 yrs. Facebook fans 416. Twitter followers 25. About Blog Resources for inspiring mechanically-minded toddlers & preschoolers. Facebook fans 4,337. Twitter followers n/a. About Blog I am Felicia, mom to two little children and living in Amsterdam. This blog is about travelling with children and all the practical things that come with that. I'm sharing my own experiences, tips and tricks as to hopefully inspire you to keep travelling- with your toddler(s)! Facebook fans 6,198. Twitter followers n/a. Facebook fans 3,910. Twitter followers 2,795. Singapore About Blog Toddlership delivers the best maternity and baby products to your doorstep. Shopping online, learning about motherhood and parenting has never been easier! Toddlership strives to bring up to date information and reviews on the products that mommies need. See something we don't have that you want, just let our friendly Toddlership staff know! Facebook fans 2,199. Twitter followers 1. Northampton, England About Blog A first-time mum's take on the toddler years - trying to survive the daily work/tiny human/soft play/CBeebies obstacle course until Wine O'Clock! Facebook fans 1,195. Twitter followers 2,909. About Blog PLaY CReaTivEly WitH YoUr LiTtLe OnE. Hello! I'm Mandisa, CPA turned stay-at-home to one 3 year old sharing easy play-based learning activities and crafts for babies, toddlers and preschoolers. Facebook fans 316. Twitter followers 121. NZ About Blog Baby Sleep Consultant will help you restore your family's sleep patterns with a plan develop individually to suit you baby and your parenting style. Our insightful blogs provide further information and tips on all aspects of baby and toddler sleep problems and how you can improve things. Facebook fans 7,028. Twitter followers 208. About Blog Bebe Belle, the UK's beautiful baby & toddler clothing boutique makes it easy and exciting for on-trend parents to shop for beautiful, couture clothing. Ireland & UK About Blog Toddlerland.ie began when a group of friends got together and decided to bring their extensive experience in the babycare and nursery business to bear on providing parents with a central store for all their little one’s needs. Our years of buying experience ensure that we get the best deals to pass on to our customers. About Blog Born Happy provides individualized in-home and virtual baby and toddler parent coaching. Your Baby Coach specializes in sleep coaching, eating, breastfeeding support, fussing/crying, developing, and teaching baby basics.Your Toddler Coach specializes in sleep coaching, behavior issues, eating, and developing. C O P E N H A G E N About Blog This blog is a little corner to share our story about leaving the option of the traditional classroom behind in exchange for a Danish Forest School for our toddler – we traded in the books and papers you usually associate with school, and got a whole lot of adventure in its place. Facebook fans 1,759. Twitter followers 304. Columbus, OH About Blog My name is Amy Douglas, Mother, Certified Child Sleep Consultant, and Newborn Care Specialist. I've been in your situation, and I understand what sleep deprivation is like first-hand. Because of this, I promote gentle methods in which parents can comfort their children through sleep shaping, and have helped hundreds of families with my custom service options. Facebook fans 1,781. Twitter followers 2,165. Facebook fans 1,322. Twitter followers 594. Brisbane, Queensland About Blog Dr McMahon is passionate about speech therapy for children and brings experience, upto date research and friendly speech therapists that can get your child talking and learning. The Brisbane & Skype services provide speech therapy assessment and treatment for children with speech and langauge developmental concerns and feeding difficulties. Facebook fans 791. Twitter followers 53. UK About Blog A step by step book to get your child into a sleep routine for all parents who want their toddler to stay in their bed and learn to self settle at night. Here you will find Tips to Help Your Newborn toddler Sleep by exploring child sleep specialist secrets. Understand about Newborn toddler Sleep Survival Guide. Facebook fans 1,016. Twitter followers 157. About Blog At Sleep Pea, my goal is to provide parents with the support and knowledge they need to dramatically improve sleep habits for their child. Creating positive sleep associations with an emphasis on developing healthy sleep habits for the long-term. 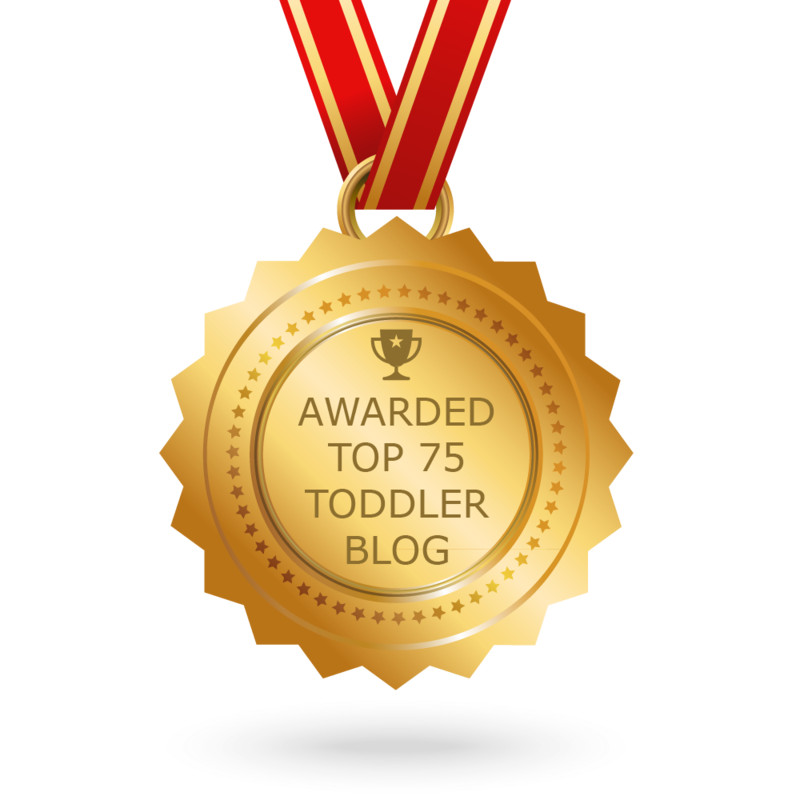 CONGRATULATIONS to every blogger that has made this Top Toddler Blogs list! This is the most comprehensive list of best Toddler blogs on the internet and I’m honoured to have you as part of this! I personally give you a high-five and want to thank you for your contribution to this world.